Home » Bollywood News » Salman, jury or Harshaali: How does Zee Cine Awards 2016 winners list differ? Salman, jury or Harshaali: How does Zee Cine Awards 2016 winners list differ? #ZeeCineAwards: Kuds to the jury to award @Harshaali032008 best deubtant award. Bollywood celebrities like Salman Khan, Akshay Kumar, Ranveer Singh, Arjun Kapoor, Sonam Kapoor, Sonakshi Sinha, Parineeti Chopra, Kriti Sanon, Sushant Singh Rajput, Nana Patekar, Sooraj Bajatya, Kabir Khan, amongst others attended the Zee Cine Awards 2016. The event was hosted by Shahid Kapoor and Karan Johar, whereas Sonakshi Sinha, Parineeti Chopra and Arjun Kapoor co-hosted a few segments. Apart from the usual awards like Best Actor (Male/Female), Best Film, and Best Music, one award which stood out was Best Debutant Female. 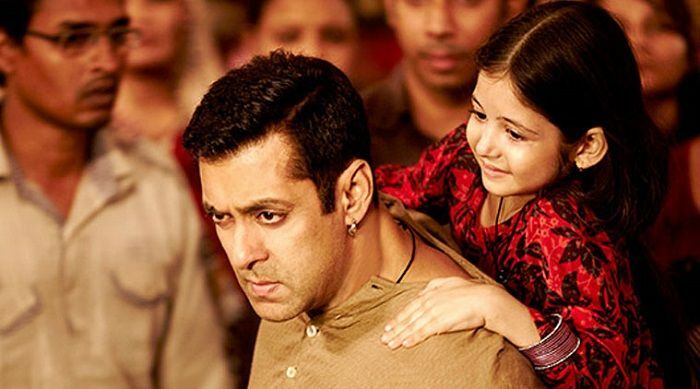 Major award shows this year marked the beautiful performance by child-artist Harshaali Malhotra in Bajrangi Bhaijaan with Best Child Artist award. However, Zee Cine went ahead and nominated her for Best Debutant Female, an award she eventually won. Among other nominations, the Best Debutant Female award was shared by Harshaali Malhotra (Bajrangi Bhaijaan) and Bhumi Pednekar (Dum Laga Ke Haisha). On the other hand, the Best Actor Popular was awarded to Salman Khan for Bajrangi Bhaijaan whereas the Best Actor Jury was won by Ranveer Singh for Bajirao Mastani. "I get very happy when my fellow industry friends win awards for their work, but the awards don't matter to me at all. I like to attend these functions as they are a form of get together for me. I think these award functions should not nominate me at all. I have been here for 25 years, so I think instead of nominating me; they should give the younger generation a chance. I can come and perform, I can attend, but I think younger generation should get the awards." Check out the complete list of winners at Zee Cine Awards.